Vintage Colour Embossed Art Artist Drawn Old Postcard. 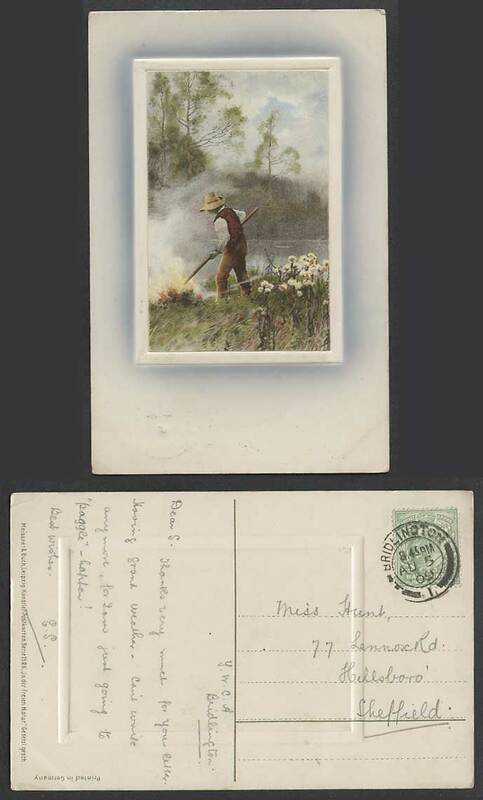 A Farmer Peasant at Work, Fire by River Scene, Flowers. 1909.